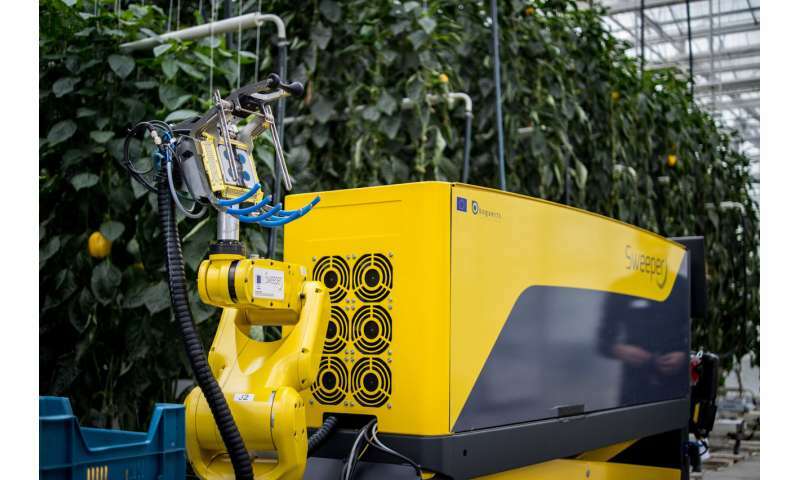 The world's most advanced sweet pepper harvesting robot, developed in a consortium including Ben-Gurion University of the Negev (BGU) researchers, was introduced last week at the Research Station for Vegetable Production at St. Katelijne Waver in Belgium. SWEEPER is designed to operate in a single stem row cropping system, with non-clustered fruits and little leaf occlusion. Preliminary test results showed that by using a commercially available crop modified to mimic the required conditions, the robot currently harvests ripe fruit in 24 seconds with a success rate of 62 percent.